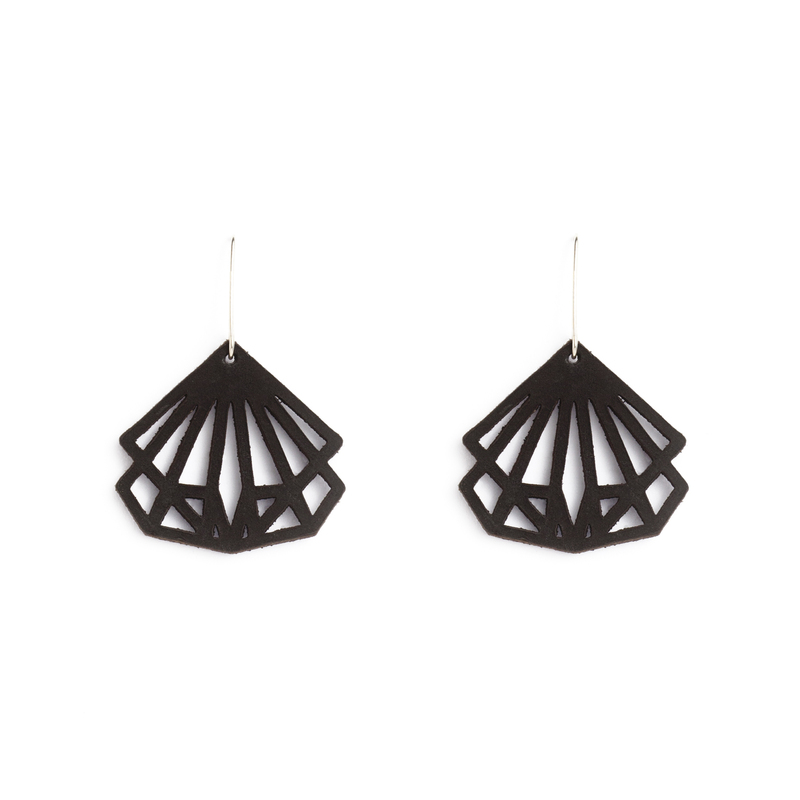 These geometric diamonds came out of a collaboration we did with Ernest Mahomane for Cape Town Fashion week in 2014. The faceted drop is a stone called Oil Jade and adds the necessary colour pop to these classy babies - we are currently producing these earrings WITHOUT the oil Jade drop - if you'd like it added please let me know. All leather earrings are hung on sterling silver hooks and measure 7cm from top of the hook to bottom of the earring. They are 3.5cm wide. Notify me when Gold Coco Leather Earrings is available.